This was a very damp return to the Lakes after too long an absence. 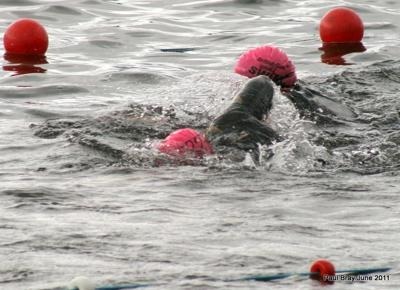 The occasion was the Great North Swim. Along with thousands of others we made the pilgrimage from Bowness, on one of the shuttle ferries to Low Wood via Brockhole visitors centre. The atmosphere was fantastic as all the swimmers lined up for the start. We were there to support my brother, swimming to raise money for the MS Society. 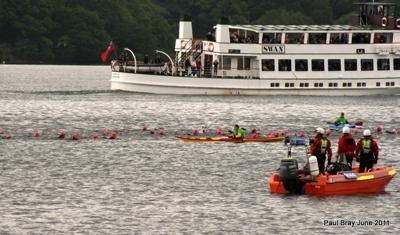 The British Gas Great North Swim is held in the Lake District's largest lake, Lake Windermere and has now become the largest open water swimming event in the UK. 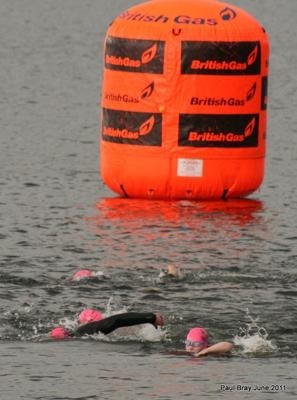 This year there were over 10,000 participants involved in the Great North Swim 2011, swimming distances of a half mile, 1 mile and 2 mile events.